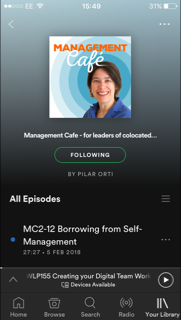 A new show, hosted by Pilar Orti, who shares reflections about managing and leading teams in the 21st Century. In this first episode: Great Team Communication. For more on how to apply the research featured in this podcast to your virtual or hybrid team, check out the accompanying blog post on Communication in Virtual Teams. Sandy Pentland & co's research into high-performing teams. Go to Management Cafe Podcast blog and subscribe via email.